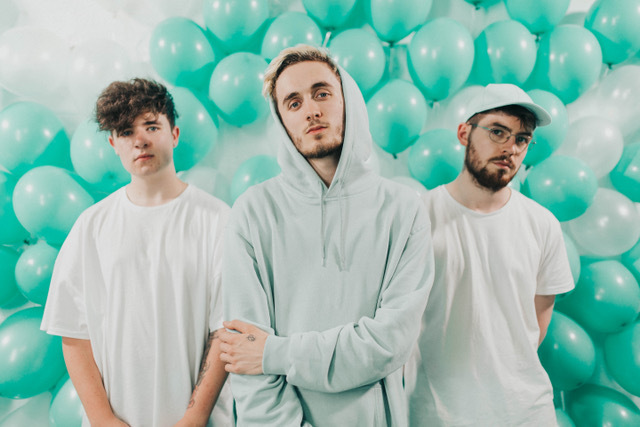 Pop-punkers SHADED have just released their new single 'Tell Me' via Common Ground Records, we had a little chat with the band to get to know them a bit better. Hey! We're SHADED and we're from London. What is your new single Tell Me about? Can you explain the lyrics? Tell Me is an insight into one of my previous relationships in which a lack of communication made things turn really sour and I was left feeling as though I was entirely at fault. Who blew up all those balloons in the music video? All of us. It SUCKED. But it looked cool for the video so it was definitely worth us all nearly passing out. How would you describe yourself to someone who has never listen to you before? If bubblegum took musical form, that's us. Who are your key influences as a band when it comes to your music? We have so many! What inspires us to write usually depends on what we're listening to at that moment in time! Personally, my main musical influences when growing up were (and this always makes people laugh when I tell them) Slipknot and Boyz II Men. Boyz II Men are the reason that I started singing so young and are the reason that the R'n'B style is so prominent in our songs and my vocal melodies. The single is out, what's next? Immediately after the single drops, we kick off a mini tour with the guys in Layover. Everything to come after that, you'll have to wait and see!